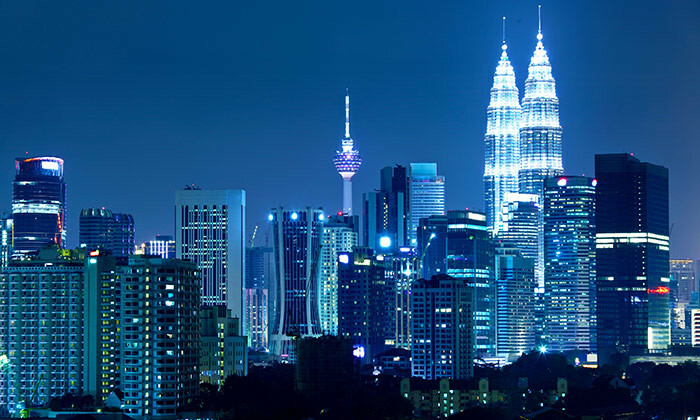 KL’s new branding: Not as “exciting” and “enticing” as it hopes to be? The new branding tagline will be planted across various parts of the city. Mayor of the city, Datuk Seri Mohd Amin Nordin, said at a press conference the new rebranding will look to stimulate growth in tourism numbers, investment, job opportunities, business development and the city will also now play host to major events. In recent times competition for the tourism industry has intensified drastically. Just yesterday, the Singapore government made an announcement to inject SG$700 million into the tourism industry and build up data capabilities to better engage with visitors. Meanwhile the tourism board in Indonesia is also ramping up its efforts and offering investment opportunities to the Chinese to grow tourism business. Hence the move to position KL as a major Asian city comes as no surprise. While it might be too soon to say whether or not the new branding will work, not all branding leads in the market are happy with the result. Zayn Khan, Southeast Asia CEO of Dragon Rouge said the problem with the new Kuala Lumpur city brand is that it is not single-minded, and there is no creative idea to hold the branding it together. “Did they need to say both ‘Contrasts and Diversity’? Isn’t contrast inherent in diversity?” he asks. Khan added that the new branding lists out all the “rather generic” brand attributes (exciting, surprising, enticing) and questions if it is really necessary. After all, these attributes should be used to build the character of the identity and shape the launch activities. It should not have been stuck on as a meaningless tagline, he explains. In terms of the design elements, Khan said it was not modern, innovative or vibrant. It is not clear as to what else is being associated with KL’s new branding. “When embarking on a refreshed brand for a city, one must remember that it is tax payers funds that are being used to pay for the project. It is is imperative that the residents of a city feel any funds spent on a new identity can be the impetus for positive change,” Foley added. Overall there is also a feeling that the contemporary nature of KL is not reflected as strongly as it could be. With one of the most memorable and consistent country branding propositions behind it, the KL city branding must aspire to similar levels of recall and familiarity. However, in trying to satisfy such a diverse range of audiences, in this case domestic, international, leisure, business, investors, there is often a danger that the proposition over-stretches itself. It may struggle to deliver the single cut-through message that has made ‘Malaysia, Truly Asia’ such a durable platform. Hitchmough added however, these are early days and the tide could turn. Jaguar is often perceived as “Uncle's car”, so the auto-maker has tapped stand-up comedian Jan Lamb to refresh the brand with thei..
Beyonce released her fifth album with close to no marketing done for it, and yet with massive success. Here are tips brands can pi.. The Pilipinas Anti-Piracy Team will be conducting unscheduled inspections in Southern Luzon to thwart the sale and use of illegal ..
WhatsApp has just announced a new feature, WhatsApp video calling, which will allow users to make video calls across Android, iPho..